Yes, the IRS can seize your IRA or other retirement account. Don’t be confused between the great collector (to whom state laws, regulations and standards of decency don’t apply), and other creditors. The IRS may levy your IRA at any time for any amount. Whether this leave you penniless is not important. The IRS has the right to all cash it can get its hands on. More specifically, the IRS has the right to take any retirement account which is vested. Any account you can take money from, the IRS can seize. Adding insult to injury, if and when the IRS levies your retirement account, you need to pay the taxes on the amount they take. That’s right, if the IRS levies your IRA for $10,000, you owe taxes on that $10,000 on your next tax return! At least the early withdrawal petitions don’t apply. To put it another way, the IRS can take your Keogh, 401(k), IRA or SEP. With an ERISA plan, they may only size what’s vested … if you have the right to take a loan or distribution, they can take it for the Obamanation. 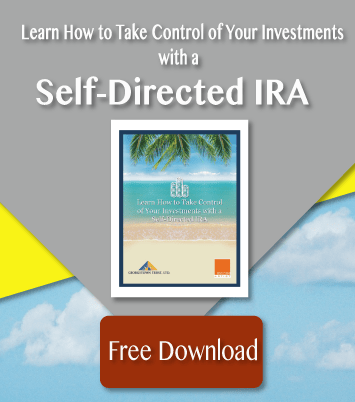 It is possible and legal to protect your IRA from IR creditors by moving it offshore. You may not move assets offshore for the purpose of keeping them out of the reach of the IRS, but you may elect to invest abroad for other reasons/purposes. Earning a higher return of investments, living abroad, and diversifying your holding s are all good reasons. If that’s your situation, then you can form an offshore IRA LLC, open an offshore bank account, and lower your retirement account in to that structure. From there, you have checkbook control and decide which investments to make. Assuming your offshore bank doesn’t have a branch in the United States, the IRS has no way to seize your cash. That also means that, if your bank does have a branch in America, the IRS can empty your account. So, be careful on selecting your bank. I will end by noting that offshore bank accounts, foreign real estate and physical gold held in your name, or in the name of a retirement account, need not be reported to the U.S. government. These are all exempted from the various forms, such as the Foreign Bank Account Report and the Foreign Asset Statement. Of course, cash held in a bank account which is not owned by your IRA must be reported. I hope this information on the IRS’s ability to levy your IRA or other retirement account has been helpful. IRS Partial Pay Installment Agreement.